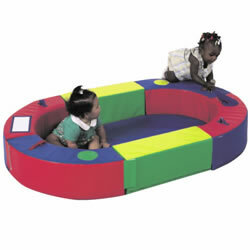 Play spaces and mats offer defined areas for children to safely engage in a variety of play experiences. 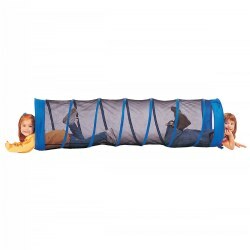 Products such as tunnels, playpens, pillows, tents, cubes, mats, and play houses can be used as indoor or outdoor props for children to enjoy. 3 years & up. 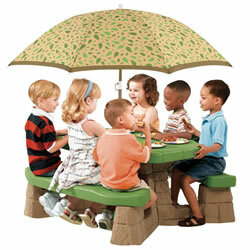 Realistic sandstone and paver styled picnic table includes a removable 5' wide umbrella. Wide contoured benches will seat six kids comfortably. 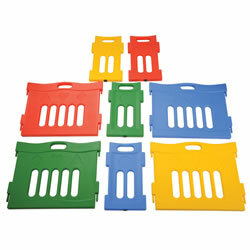 Rugged molded plastic is easy to clean and resists fading. 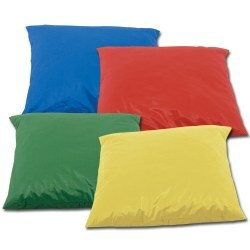 Great for picnics, games and projects. Measures 20 1/2"H x 43"W x 41"D. Does not meet CPSC or ASTM standards for public playgrounds. Limit six kids, maximum weight 300 lbs. Minimal adult assembly. 2 years & up. 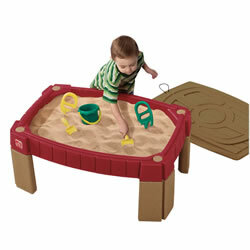 Raised sandbox with lid keeps sand clean and has a molded roadway for added fun. Includes 2 shovels, one pot and 2 scoops. Holds up to 40 lbs. of sand (not included). Easy assembly. 16"H x 26"W x 36"L.
2 years & up. One side is a picnic table - turn it over and it becomes a rocker - accommodates 4 children. Eyes move. Easy assembly, no tools required. Brightly colored and resistant to temperature changes. 27"H x 45"L x 22"W.
2 years & up. Bring a bowling lane to the classroom! Bowling is the perfect way to support gross motor skills, and it's also a great activity for indoor recess. 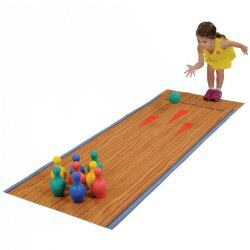 The set includes a children's bowling playmat printed on rubber-backed polyester material, eight pins, and two foam bowling balls. Extension set adds 8 additional pieces to the small versatile play pen. 4 long panels measure: 28 1/2"W x 23"H each and 4 short panels measure: 13"W x 23"H each. Panels can be wiped clean. 6 - 36 months. 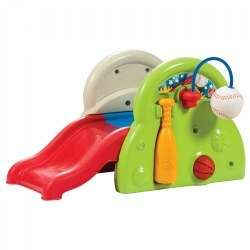 Interactive play center features squeakers, bell, and reflective surface. 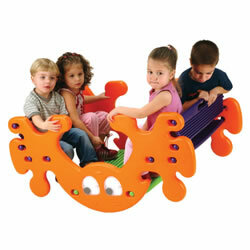 Six shapes stick together in a portable play and multi-sensory skill development center. Removable 1 inch thick foam vinyl covered floor. 8"H x 56"W x 36"D.
7 years & under. 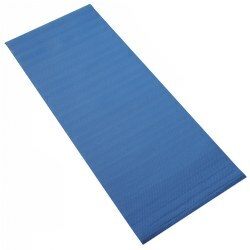 High performance, easy care, premium child yoga mat contains no pththalates or heavy metals. 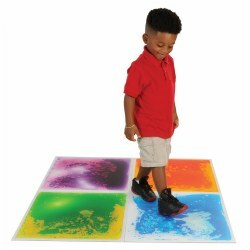 This mat will provide a stable, slip-resistant surface for a childs yoga practice. Internal, center threading gives this mat exceptional strength and durability against tearing. Thickness 1/8", size 24" x 60". Choose color. 2 years & up. 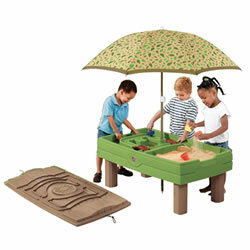 This sand and water table is loaded with action, including two bridges, ramps, cups, and boats. The included umbrella keeps the play table safely shaded from the sun, and the cover fastens on securely at night for protection against the elements. The lid also doubles as an exciting track for cars! Assembly required. 21"H x 26"W x 46"D.
2 years & up. Set up a table at the farmers market and sell your best vegetables, plants, and more! 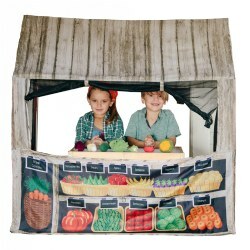 This Farm Fresh Play House sparks children's imaginations and enables them to enter into the farming world through pretend play. Play tent features durable polyester fabric with farmers market graphics on all sides, large front opening, no see-um mesh widows that can be rolled up, and fiberglass pole structure. Size: 48" x 38" x 48". 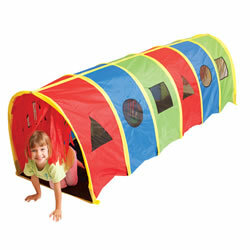 Included: Play tent, poles, and sturdy carrying bag. 3 years & up. 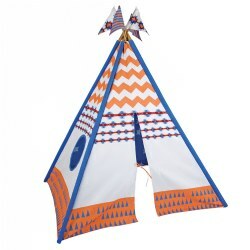 This adorable, classic teepee is the perfect space for your little one to hide away to read and play. Teepee features vintage design, chic graphics, a large entryway, a window, cute pole-top flags, and an inside lining patterned with stars. Teepee is big enough to fit a small table or sleeping bag inside. Size: 64" x 45". Included: Teepee canvas, 4 Sturdy bamboo poles, 4 Pole-top flags, and a Carry bag for storage and portability. 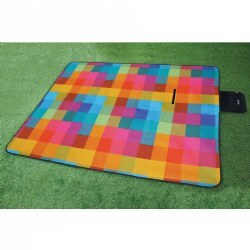 This multicolored seating mat has soft fabric on top and weather resistant backing. Perfect for outdoor reading and play. Measures 52" x 67". Spot clean only. 18 months - 5 years. 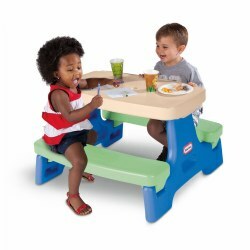 Sized just right for young children, this indoor/outdoor table 'unlocks' and folds for storage. No tools required for assembly. It seats four comfortably and encourages social play. Measures 29 1/2" L x 25 1/4"D x 18 1/2"H.
2 years & up. Zippered cotton chintz outer cover is removable and easy to clean. Meets CA TB17 fire specifications. 24" square and 8" thick.